Again With the Milestones - . "Mom! 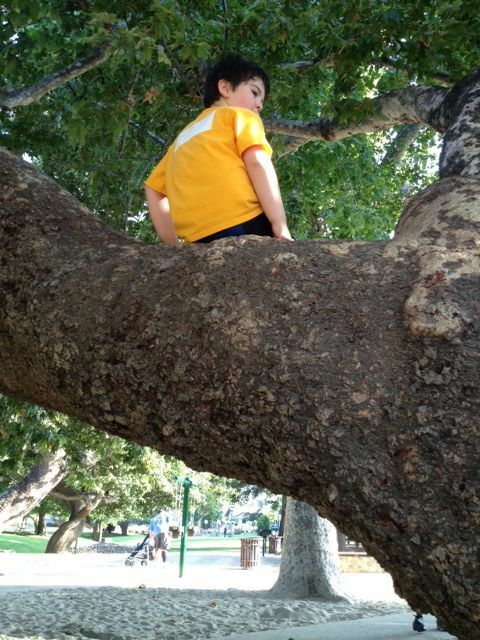 I climbed the big tree in the playground!" "Yes way and I didn't even have help!" "There are these bumps on the tree and if you get your feet just right on them and then hug the tree really hard like this, you can get up. And then you can jump off into the sand. Watch me do it! Watch me do it, Mom!" "I'm watching, Sweetheart. That's such a big boy thing to do." "This is it! I'm totally big now!"